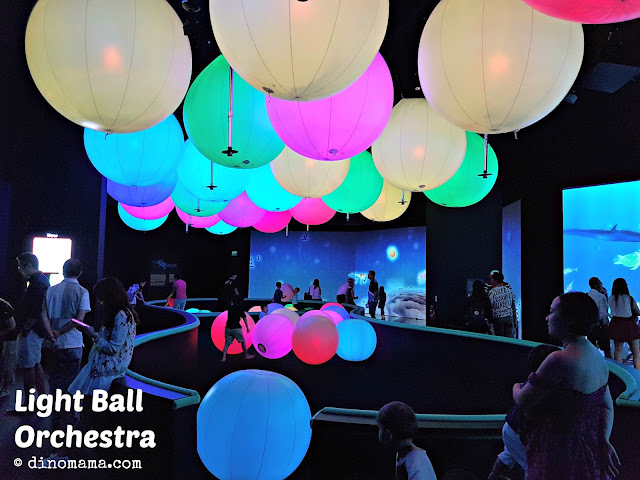 To mark their 5th Anniversary earlier this year, ArtScience Museum launched their permanent exhibition the FUTURE WORLD: Where Art Meets Science, it is co-curated with teamLab, a globally renowned Japanese group of ultra-technologists and multi-award winning art collective. 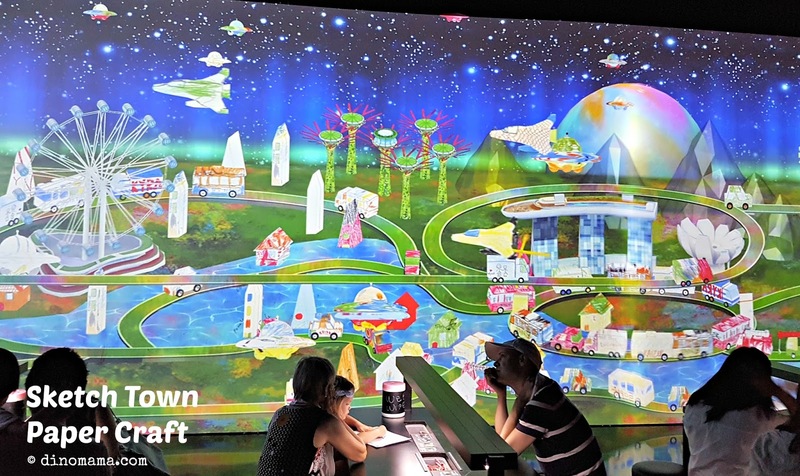 Together with ArtScience Museum, the art collective has built Singapore’s largest digital playground spanning 1,500 square meters, which is approximately a quarter of the museum’s total gallery space. The immersive and interactive exhibition allows audiences to become an intrinsic part of the artworks on display, as the installations dynamically evolve through their presence and participation. Featuring 15 digital installations specially selected and put together from teamLab’s extensive collection of works, Future World take visitors on a journey of discovery through four key narratives – Nature, Town, Park and Space. I will be sharing a few of the exhibits in this post. Mother Nature is the creator of birth in every living things, from the blooming of flowers to the birth of every creatures big and small. Its apt that the journey should start with an enchanting stroll through an interactive world of flora and fauna. I am not sure about others but the minute I entered this room I felt a sense of calmness flowing through me when I saw the waves. The soothing melancholy piano music in the background makes me just want to curl up into a fetal position and... be still, hoping that the world will just past by. As much as it seems to be a great showcase of nature at work by looking at the mighty sea swallowing the rocks or the visual effects that turns our internal snoozing button on automatically (thus you feel like lying on one of the many beanbags to do just that), it carries much important message. This larger-than-life installation gives a glimpse into the future, as it illustrates the rising sea levels wrought by climate change, based on scientific data derived from the World Wildlife Foundation (WWF). The prediction of the world’s rising sea levels over a century is condensed into a ten-minute time frame. As the borders between the screen and the viewer dissolve, it creates the illusion of the viewer eventually being swallowed by the rising sea, encouraging visitors to reflect on the long-term environmental effects of climate change. Pry yourself away from the sadness scene and step into a wondrous town, head straight to the giant slide and sends those depressed feelings away. Time to work those muscles and brains with some coloring, create your own transportation network with the interactive blocks and building some serious colorful furniture. 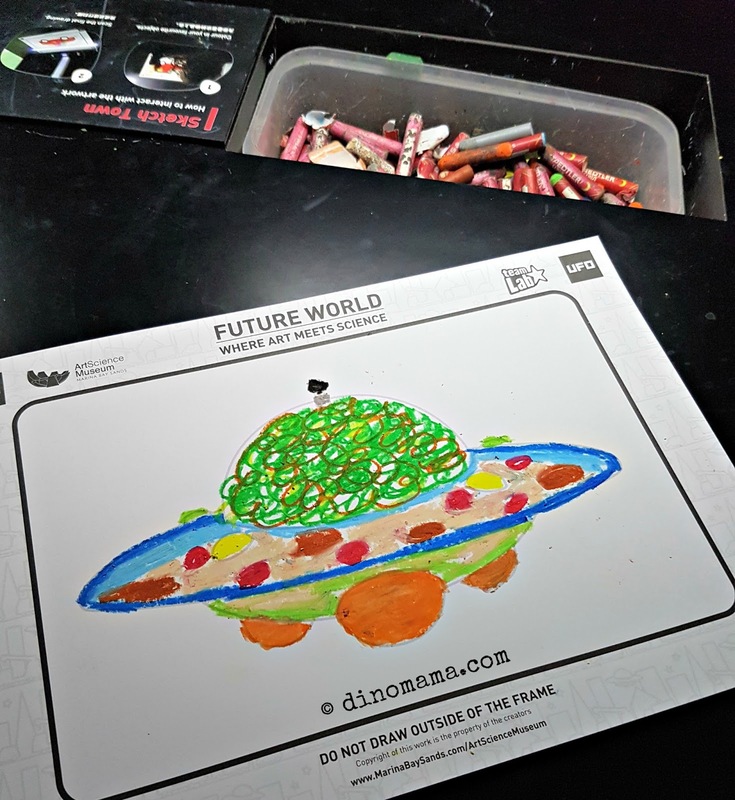 Let your imagination run wild, as you colour in and draw objects such as cars, buildings, and spaceships. These two-dimensional pictures become animated and move around as they enter a large projected screen. The artwork grows and evolves constantly as different images are added. The objects in town move at different speeds and in different directions, as the audience touch them, bringing the town to life. And yes, I just got to try this, look at my polka-dokkie spaceship~ After I'm done, I simply go to the scanning machine once you are done, press the small yellow button ONCE, wait like 2-3 seconds and I see it flying out from a corner the big screen. Enter the world of the children where laughter is a MUST and PLAYING is a serious work. Have you heard about the NEW hopscotch? The one that lets you design it and see it appear right in front of you? Jump on it and trigger off beautiful colors and sounds. playfully collaborate by pushing, bouncing and rolling the balls, continuously changing the composition, color and sound of the space. Step away from the prosperous world of Nature, Town & Park, and into the outer world, a vast place of mystery and infinity. 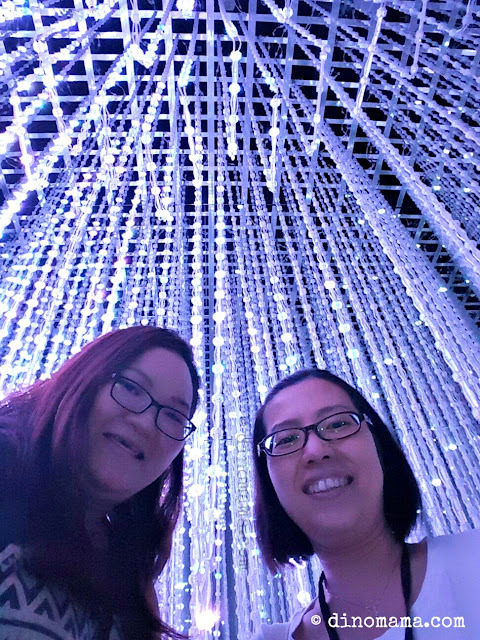 Or in this exhibit, be surrounded and get mesmerized by the fairy like lights that seems to be dancing around you, trying to catch your attention. You will find yourself turning around or looking over your should constantly to catch the fleeting fairies. When you managed to tear yourself from the fairies and emerge from the lights, don't leave the room yet, stand at the far end of the room and the stars will perform a stunning dance to you. This monumental, immersive and interactive artwork enables visitors to experience astrophysical phenomena such as planets, stars, galaxies, and even the very recently detected gravitational waves, which Einstein predicted would exist a century ago. This stunning artwork utilizes teamLab’s Interactive 4-D Vision technology, which allows users to control over 170,000 LED lights which together give the illusion of stars moving in space. Thus, visitors experience the Universe from within it, as surrounds them, and enfolds them, and responds to their presence, thus helping visitors understand themselves as part of the vastness of celestial space. Disclaimer : We received complimentary tickets from ArtScience Museum for the purpose of this blog post, no other compensations were received. 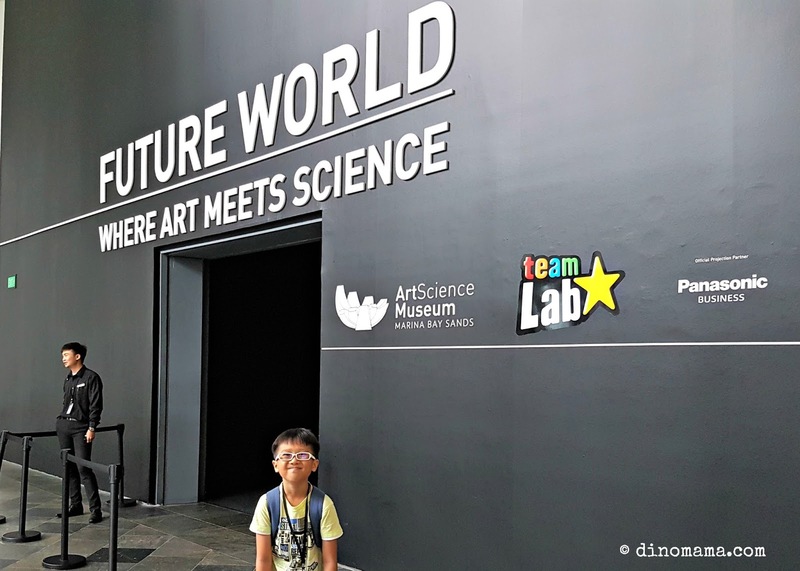 All opinions in this post are 100% based on our fun filled experience in Future World : Where Art Meets Science. All photographs and videos in this post belongs to The DinoFamily, you may not take it for personal use without seeking our permission.